I am happy to announce the latest addition to my line of Indiana Jones inspired bullwhips. 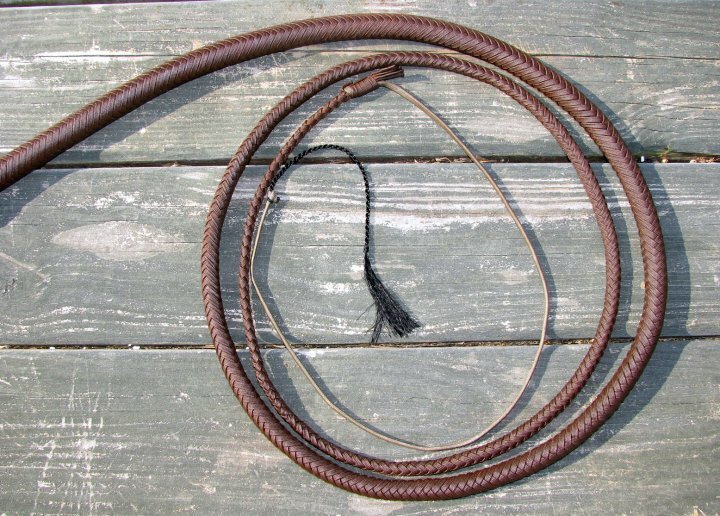 This whip is made to resemble the bullwhip seen in The Kingdom of The Crystal Skull and is chocolate brown with black turkshead knots. The thong has a 16 plait overlay around 2 plaited bellies. 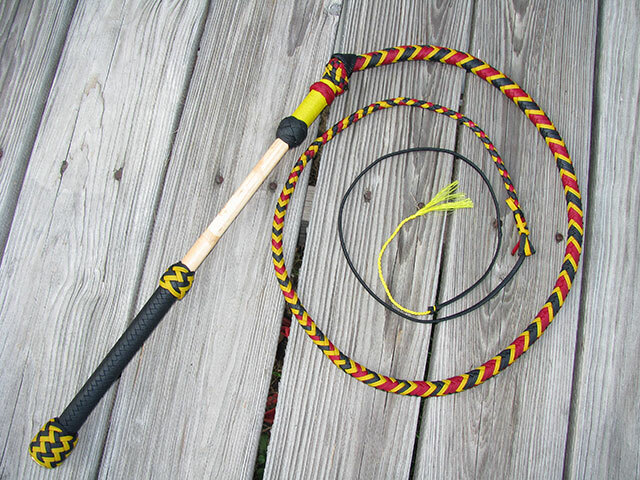 The transition of this whip has been lengthened to better resemble the KOTCS bullwhip. 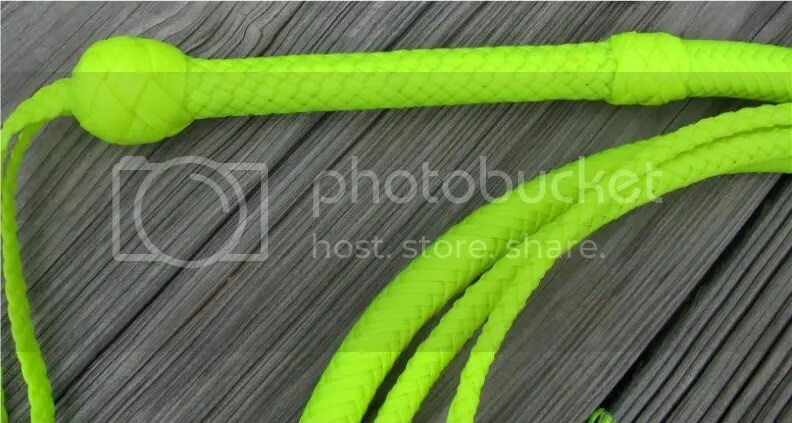 A nyl on whip will never be “screen accurate;” my intent with this whip is not to make a “SA” whip, but to craft a reasonably priced, high quality nylon bullwhip that gives a good general impression of an Indy style bullwhip. As U.K. whipmaker Tony Layzell might say, this is my “interpretation” of the KOTCS bullwhip. The total handle len gth is 8″ with the knots spaced 5″ apart. The heel knot is a 7 part, 6 bight turkshead taken twice around. The transition knot is a 6 part, 5 bight taken twice around. Click here to see the entire line of RK Indy whips! 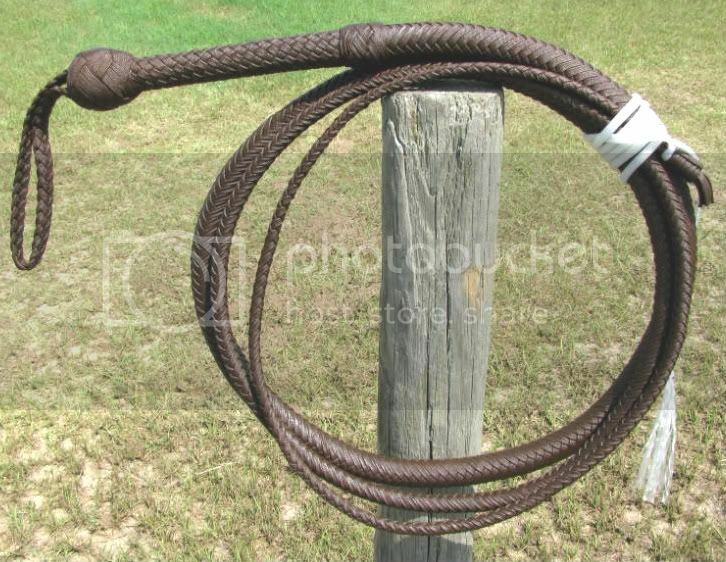 I now have a 6ft Young Indy Bullwhip for sale on eBay. Click here to see the listing and/or place a bid. 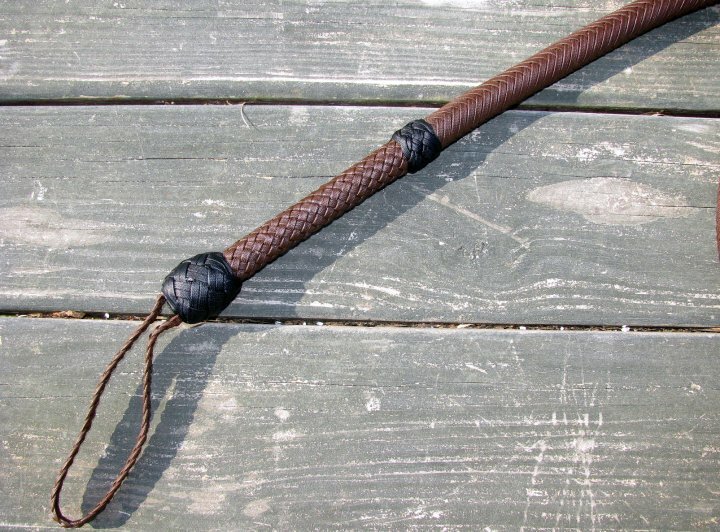 It’s somewhat rare for me to sell whips on eBay nowadays, so this is a good chance to get a Kelley bullwhip in your collection and beat the waiting list. The whip cracks really well. 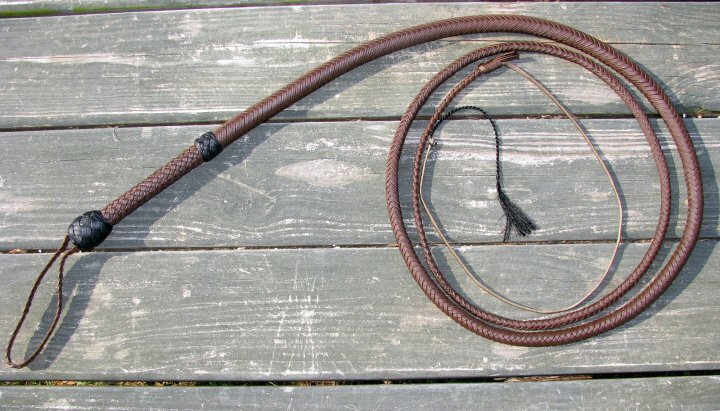 Today I would like to unveil one of my latest bullwhips: the “Young Indy”. 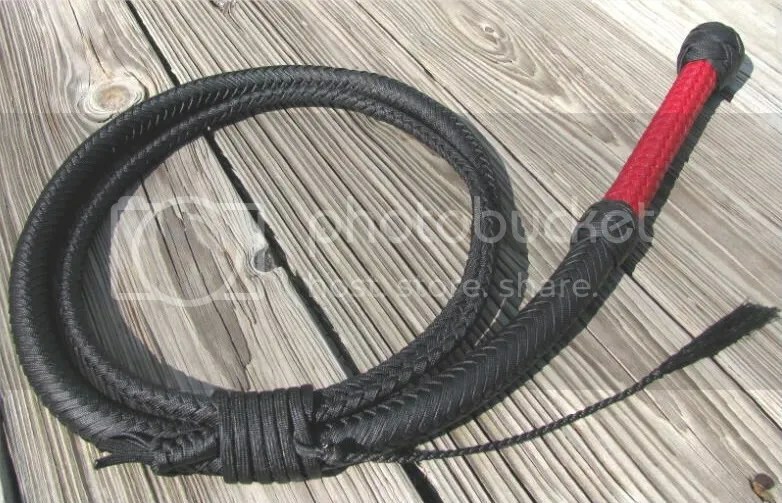 While I’m by no means the first nylon whipmaker to make this particular style of bullwhip, I have been intrigued by the look of this whip for a long time and finally decided to make one. My goal is to offer a great looking Young Indy at a price that’s easy on the wallet in a tough economy. 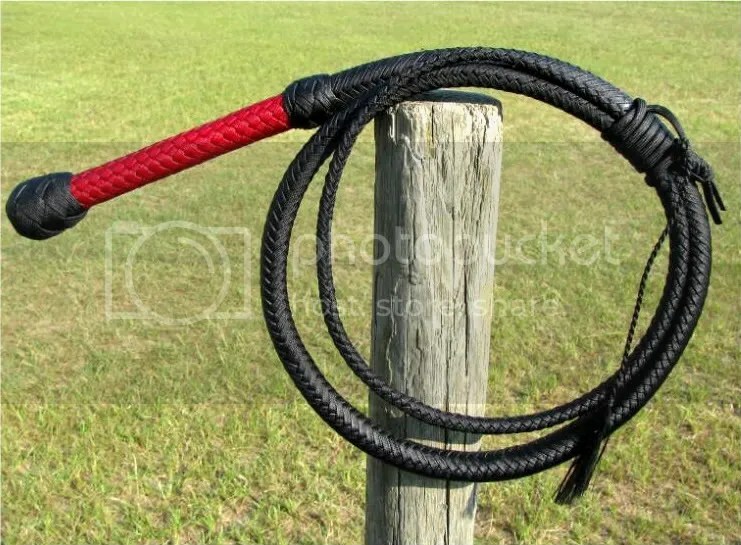 For the uninitiated, this bullwhip is called the “Young Indy” because it’s a nylon replica of a bullwhip seen in The Last Crusade where the late River Phoenix portrays a young Indiana Jones cracking a whip for the first time. (see this page @ Indy Gear for a look at the screen shot of the Young Indy and other whips from the movies). Like my other nylon bullwhips, the Kelley made nylon Young Indy has a 16 plait overlay around 2 plaited bellies; each of the internal layers is reinforced to make a smooth, firm transition. The handle is 8″ long and plaited in a chessboard pattern in imperial red to achieve a nice, dark red color. The knots are 5 part-4 bight turksheads. This whip cracks with ease and handles great. Similar Young Indy whips from other top quality plaiters will cost you between $130.00 and $165.00. 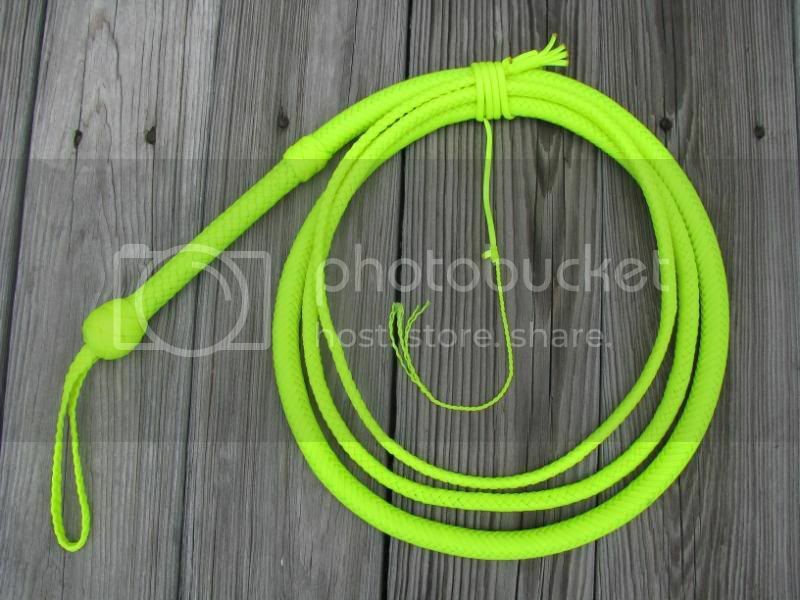 The 6 ft. Cowwhips.com version of the Young Indy bullwhip is regular priced at just $108.00. And if you order between now and the end of July, the price is just $97.00. That’s a deal that’s hard to beat!